*Met some amazing authors--some of my favorites include: Sara Shephard, Cassandra Clare, Holly Black, Emily Giffin, Richelle Mead, Michelle Zink, Melissa Marr, Adele Griffin, Dianne Salerni, Cyn Balog, Amy Brecount White, Jeri Smith-Ready, and Jennifer Hubbard. *Traveled to Key West (twice! ), Ireland, Italy, Outer Banks, Jamaica (twice! ), Sanibel Island, and of course, the shore! *Had a baby, which has changed my life for the better! *Taught middle school English and literacy, which means I get to talk about books everyday! When I first started this blog for professional development at work, I never thought I would continue with it and I am so glad I did. Thanks so much for sticking with me and making this hobby worthwhile. I truly appreciate it. 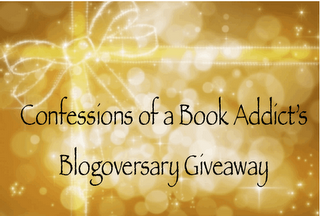 And to celebrate, I am hosting a giveaway. I am giving away one copy of any of the books pictured below. They just happen to be my favorite books that I reviewed in the past three years. If I picked a book that is part of a series and you've read that book already, feel free to pick another book from that same series. This giveaway is open internationally or wherever the Book Depository ships. Please refer to my giveaway rules. The deadline is February 16th and good luck! Thanks again for helping me celebrate three awesome years. I'd like to win Just One Day. Happy 3rd Blogoversary! I enjoy reading your posts and I'm glad you decided to keep blogging. My 3rd blogoversary was actually on Tuesday and I forgot about it. It doesn't seem like it could be three years. I would want to win Just One Day. I've heard it is fantastic and haven't read any of Gayle Forman's books yet. Just One Day or My Life Next Door. Thanks!! Congrats on you 3 years of blogging!! That is awesome. Very eventful. Bravo! I'd choose either Embrace or The Fault in Our Stars. Thanks for the amazing giveaway, and congrats!! Happy Blogoversary! It looks like you've had a fantastic 3 years! Happy Blogoversary! Wish you all the best and great luck! I'd choose either My Life Next Door, Anna and the French Kiss or The Fault in Our Stars. Thank you so much for this awesome giveaway, and for making it international. Happy blogoversary (: I'd love either Die For Me or Anna And The French Kiss! Happy Blogoversary to you! So many great books on your list, it's really hard to choose one. I would choose probably Boundless by Cynthia Hand, I've read Unearthly and Hallowed already and loved them so much! I would love to win My Life Next Door!!! Congrats! We seem to have a lot of favourites in common! I would love to win My Life Next Door. Happy Blogoversary! I would love to have Just One Day. Thanks for the giveaway! My life next door is my choice! Happy blogoversary! I'll go with Maze Runner. Wow! Three years! I just celebrated my first blogoversary this week, so three years makes you my hero. :) Congrats! You have so many great books on your list. I think I'd most like TFiOS or If I Stay. Thanks! Thanks for the awesome giveaway, I would probably choose The Luxe. I want to read Matched! I'd love to win My Life Next Door! Adored that book:) Thanks! 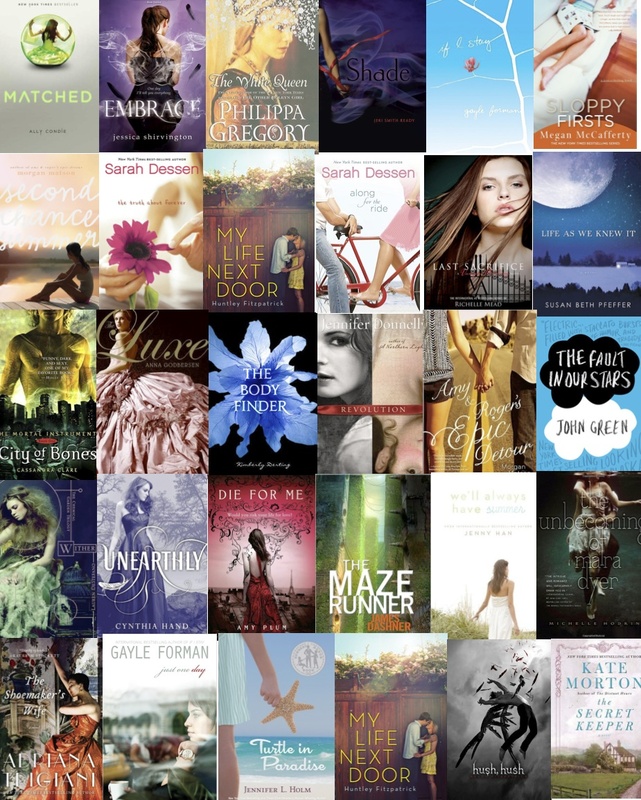 Which book would you want to win from my favorites list? Lol, the one that is really killing me is The Fault in our Stars. Everyone tell me to read it so… i have to. Happy blogoversary! I hope you have a great new year, have fun and read a lot! Happy Blogoversary! Thanks for the giveaway too. I'm torn between choosing Just one day and The Unbecoming of Mara Dyer so any of the two will do. Thanks again. I'd like to have The Unbecoming of Mara Dyer, please! I'd love The Fault in Our Stars. I would choose The White Queen by Philippa Gregory.